Dr Kerry Gilbert, Lecturer in Biomedical and Clinical Sciences from Plymouth University Peninsula Schools of Medicine and Dentistry, has been awarded a Senior Fellowship by the Higher Education Academy. Senior Fellowship of the Higher Education Academy is awarded to educators in the higher education sector who have a proven, sustained track record in higher education teaching and management and who are seeking to progress into a leadership position. Kerry joined the Peninsula College of Medicine and Dentistry at Plymouth University as Life Sciences Resource Centre Manager in 2007. She quickly became involved in developing the ground breaking curriculum and learning spaces that the medical and dental schools offer. Kerry’s current research interests consider what it is that students find difficult in adapting their learning approaches and if there are specific enablers and barriers within that process. A further interest is in developing interdisciplinary learning across Plymouth University. 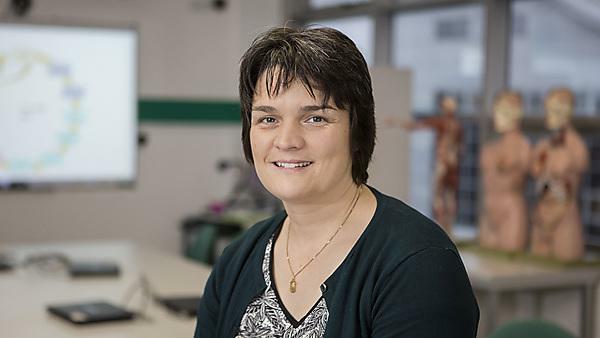 Kerry is currently studying for a masters in Clinical Education and in an extension to her scholarly work, is intending to investigate the sociological factors that help and hinder students in their journey to medicine through small groups.